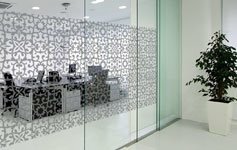 Designers can easily apply custom etched glass, sandblasted, dusted crystal and frost effects to glazing – thanks to HDFrost, a new high-definition decorative window film developed by HDClear. 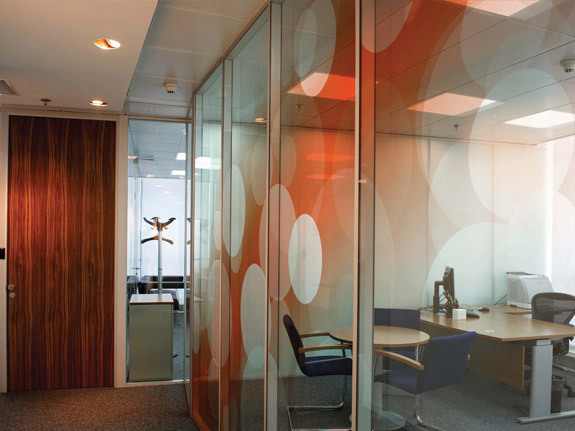 The process, which can replicate just about any image, pattern or gradient, no matter how complicated or intricate; can be printed onto optical clear polyester window film without the need for any post print ‘cutting/weeding’ or the use of backing application tape. 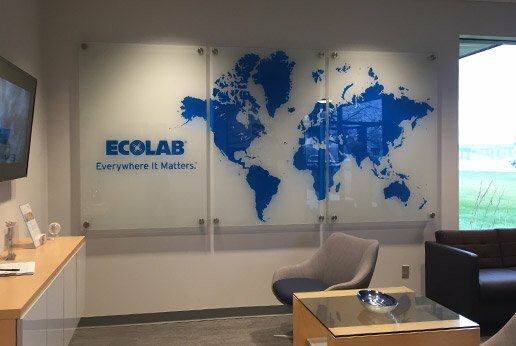 What were traditionally costly and complex jobs are now fully customizable and cost-effective thanks to our unique printing processes. 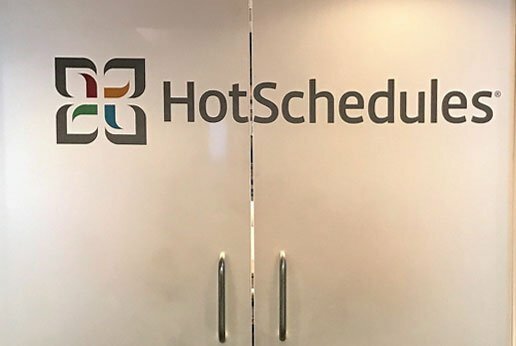 HDFrost is an industry first for decorative window films allowing for the creation of custom printed privacy, frost and etched glazing effects to any design. We understand how critical sourcing and specifying the correct solution is. Our aim is to make sure we help you get this right first time. To see the quality of HDFrost, our sample books include a cut sheet with layered frost in which HDFrost percentages are displayed. Our experienced team are also on hand to answer any questions you have. Installation of HDFrost for custom designs is far simpler than using plotted Vinyl. Glass is completely covered, with the custom design printed directly onto optically clear polyester film leaving a smooth, clean finish. There is no requirement for cutting or weeding, saving time, making installation simple and leaving a superior finish. What makes HDFrost frosted window film different? HDFrost works with true, optically clear polyester film (PET). We use a unique printing process with CMYK inks and white inks. 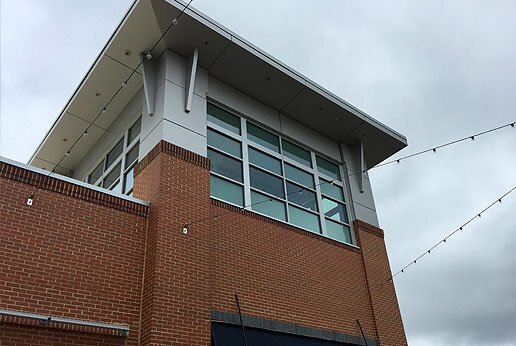 Applied in layers, our proprietary process allows graphics to be viewed from one or both sides of the glazing, permitting natural light to flood through. 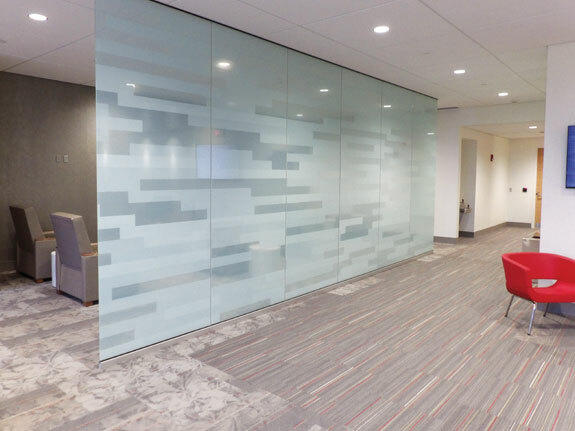 Our optically clear polyester film outlasts all traditional vinyl graphic applications to flat glass areas.